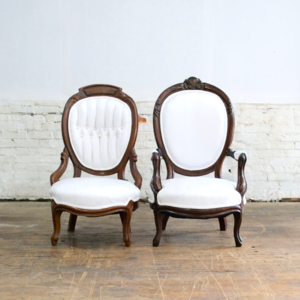 Our His/Hers Parlor Chairs are upholstered in crushed white velvet. They are trimmed in dark wood. They are traditional antique parlor chairs and work best with our more traditional pieces.